I am NOT actually limiting myself to only one trade hour. There is no restriction to the quantity of trades. What I'm trying to do is restrict my trading to the higher quality opportunities. Those of a high enough quality that… were I limiting myself to one per hour… I'd be happy to make it this one. I am NOT suggesting that they will always be winners. I get a lot of losers. But every one of them is also a trade I'd have been happy to take, were I limiting myself to one trade per hour. I am NOT suggesting that these trades should always be held for multiple-R returns, as achieved above. 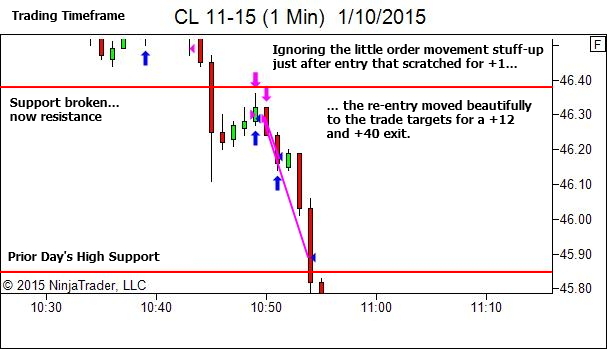 Certainly when the price action and market structure suggests potential for follow-through, you should target it. But if the environment suggests a more rangebound market with only 1R potential, and you have a trade setup offering a high degree of certainty, then take it. Assuming of course that it's one of such high quality, that were you to limit yourself to only one trade this hour, you'd be happy to make it this one. Enter… and adjust your trade management and trade exit plan to suit the conditions. So… give it a try and see if this helps you. Let's aim for quality trading rather than quantity! The 1st image in this post was quiet eye opening. Can you please shed some light as to why on Oct 1st, you picked the highs from Sept 25 and Sept 23 and not the Highs and Low’s in between Sept 25th and Oct 1st? There are no other highs in this area. The highs from 24/8, 28/8, ,29/8 were all further down below the prior day’s high (30/9) and played no part. I’m not sure what levels you are referring to. Yes, sorry. I looked up the chart myself after I posted. My question was more in a generic sense though – Do you typically mark up 2-3 highs’ and lows from the past outside the current price as areas to watch for S/R and then price on smaller timeframes? 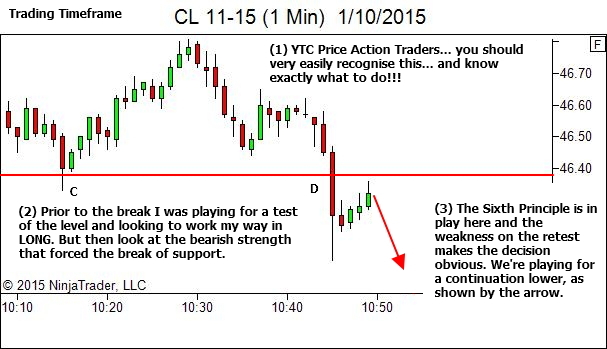 YTC Price Action Trader goes into detail. But this is essentially correct. 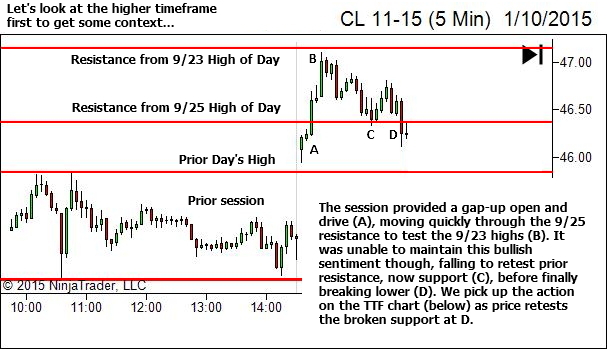 They’re selected from higher timeframe swing high points, or session high/low if just using the pit session charts.